Media Bridges Cincinnati is a non-profit organization that offers digital media education and training. The project consists of 8,000 s.f. located on two floors of a historic building in Over-the-Rhine. A strategy was implemented early on to expose the considerable technological infrastructure that would be required to update the building and create a state-of-the-art digital facility. The character and quality of the existing building was carefully revealed and maintained while providing for a new layer of high-tech media equipment and infrastructure. A new mezzanine structure defines the editing suites on the ground floor and mezzanine, and provides an access wall for connecting electric, data, lighting, and HVAC. 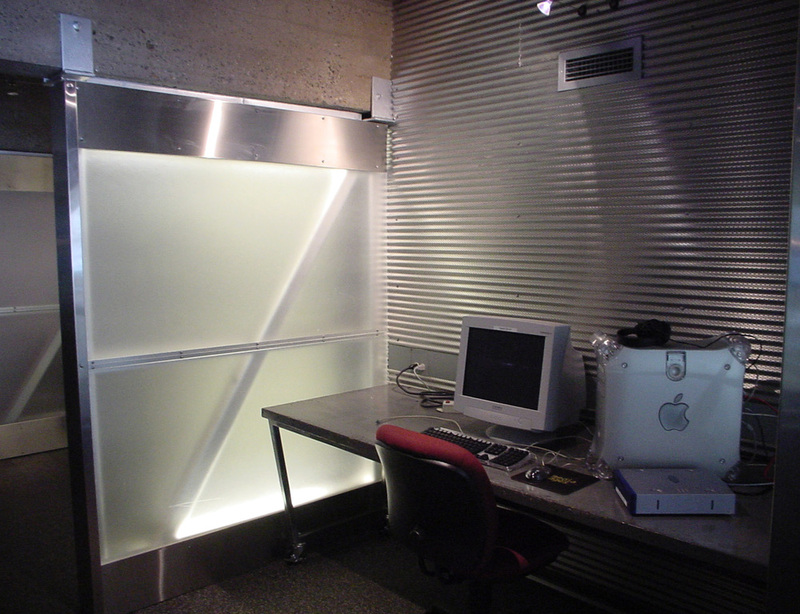 The Master Control area, located prominently at the entry of the building, houses the technology that feeds the project through a series of exposed cable trays. All of the edit suites are open, consistent with the belief that the entire building is a community space. This allows users to view projects as they are being worked on, and encourages a collaborative spirit, while maintaining appropriate levels of privacy. 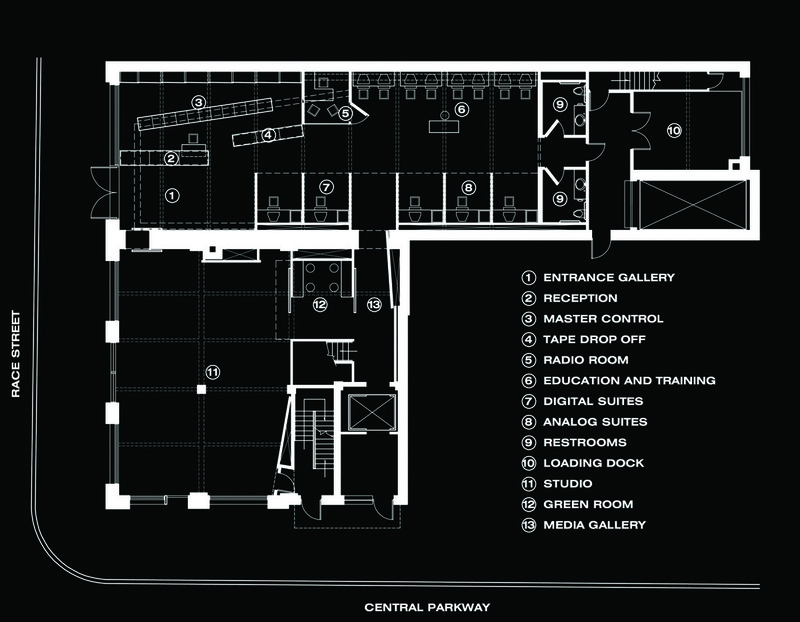 Administration and education occupy the third floor, and a studio occupies the busy corner of the site, allowing the neighborhood to view the work of the facility. The new architectural interventions are light and temporary in nature, in contrast to the rough brick and exposed concrete of the building shell. 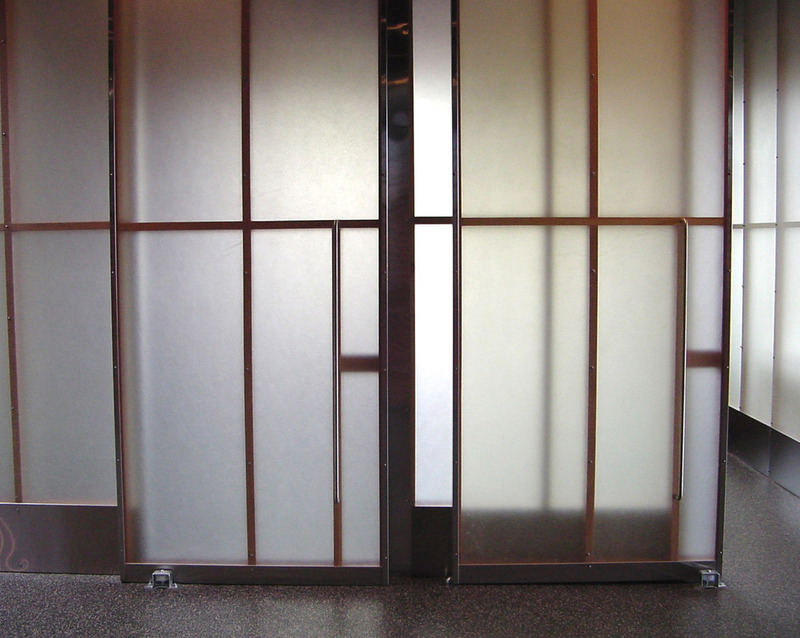 This was achieved through the use of translucent, light emitting walls for the editing suites and private offices. 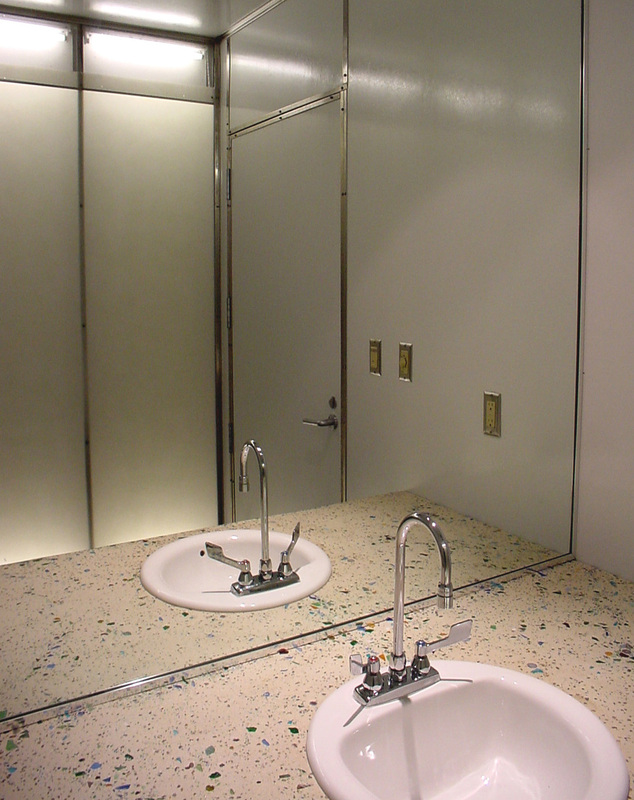 These light emitting walls are also used for the gallery and bathrooms. Custom-cast colored concrete was used extensively for work surfaces throughout the project, all of which were designed and fabricated by the architect.